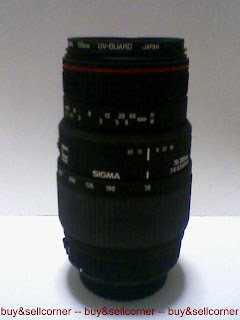 Sigma 70-300mm f4-5.6 APO DG Macro (Canon mount) is made in Japan. 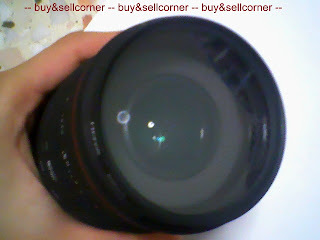 Perfect working condition with slight user marks on the rubber grip. 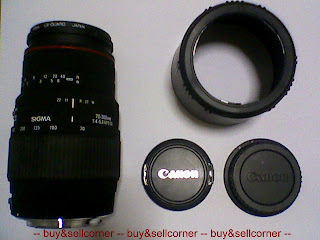 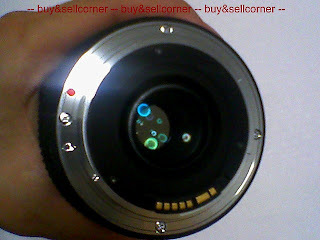 Package includes: Lens, Hoya 58mm UV-Guard, lens hood, original Canon front and rear cap.